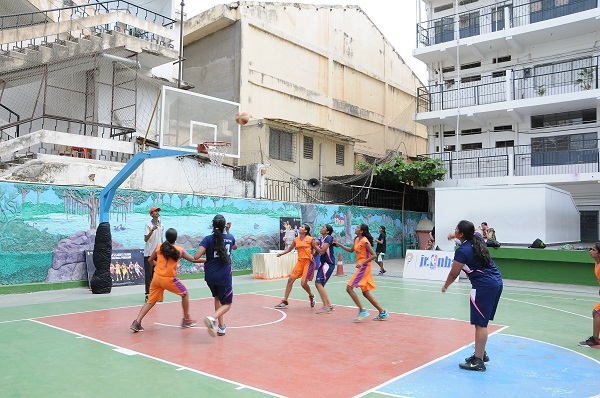 ‘Reliance Foundation Junior NBA’, a comprehensive basketball development program that imparts positive values of the sport to impact lives of the Indian youth, has been designed by NBA to promote the sport of basketball in the country. With the thought 'Anyone can Play', the Jr. NBA program reaches out to students in schools across the country and enables them to learn and play basketball via in-school, after-school and competitive programs. The aim to focus on schools right from the grass root level to the top comes from the NBA curriculum that instills various life skills in children through sport. The activation arm of Fountainhead MKTG, the experiential marketing agency from Dentsu Aegis Network, entirely managed this 6-month long program in more than 12000 schools across Lucknow, Hyderabad, Jaipur, Ahmedabad and Bangalore for kids from 3rd – 10th Std from October 2015 to March 2016. Over the course of the program, Fountainhead reached out to more than 10, 00,000 students across the country. The program kicked off with a 'Train the Trainer' program in each city in which member schools sent their PE Teachers for a training session in the program curriculum specially designed by NBA. 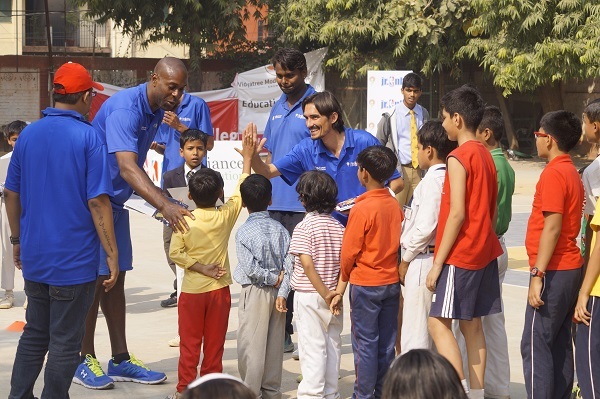 Through this program, more than 1000 PE Teachers were trained by NBA teams of foreign and local coaches across the country. To create enthusiasm amongst the PE teachers, weekly gratifications were given to top performing teachers. More than 8.5 lakh students were reached with around 35000 sessions in the In-school Program. 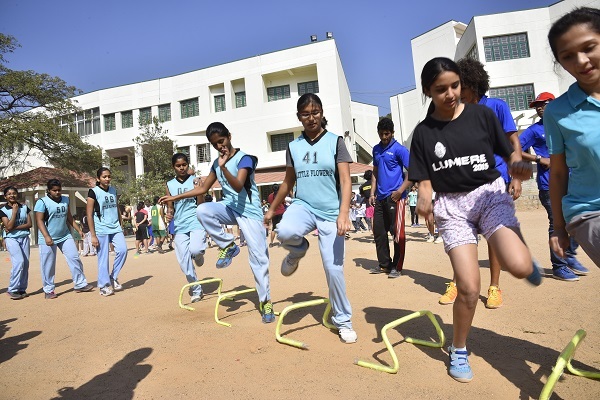 Along with this, multiple camps and festivals were also organized in different parts of the cities to keep students and teachers constantly engaged. The Elite Camps, an advanced training program for existing talent in each city from the U-13 & U-16 age groups, were conducted. Participating students were taken through various drills and exercises that were aimed to hone and better their skills at the sport. More than 9,000 students participated in the Elite Camps held across the country. Mini Festivals were organized for U-10 students across the cities. This was a fun day program for kids where they could participate in friendly competitive games as well as learn basic drills and exercises of the sport. These festivals witnessed a participation of more than 10,000 students from all the cities. 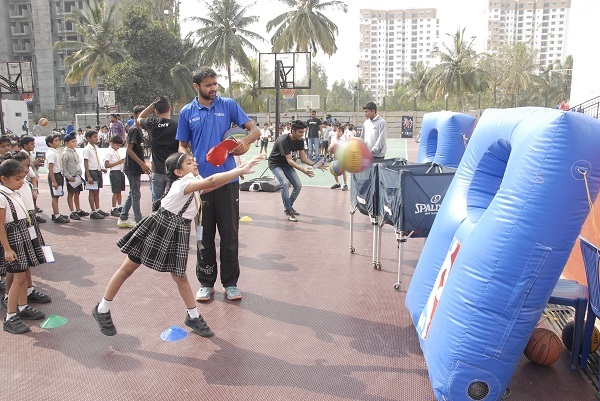 To conclude the Jr NBA program, an inter-school tournament was organized for all participating schools where they were given the opportunity to battle for the Jr NBA trophies in 3x3, 5x5 and Hot Shot Competitions for U-10, U-13 & U-16 boys and girls. 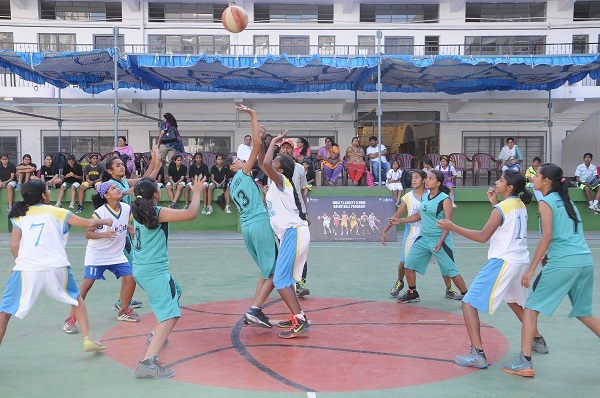 The tournaments saw a participation of more than 6,000 students across all competitions. In order to maximize brand recall, Jr NBA gratified students at every step on the way. Certificates were given to all students who participated in the Elite Camps, Mini Festivals and Tournaments where branded T-shirts were given to PE Teachers and top players at the programs. Top 3 students per age group (U-13 & U-16 boys and girls), who were picked by the NBA team of foreign and local coaches, got a chance to participate in the National Elite Camp which is an advanced training for the kids of all cities together in the National Capital. The Top 3 PE Teachers in every city were gratified to acknowledge their contribution, dedicated and participation across the entire program. The Best PE Teacher of the city won an NBA experience of a lifetime – a trip to Australia and participation in the NBA camp there! 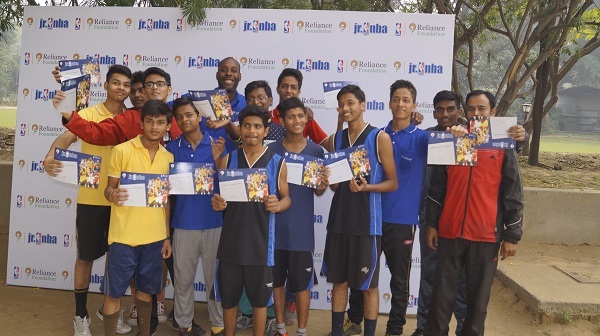 During Reliance Foundation Junior NBA program, Fountainhead reached out to more than 10, 00,000 students across the country.